I'd like to take this opportunity to remind you I wore a slip under this dress, so you're not seeing anything untoward here, I promise. This was so much fun to do. 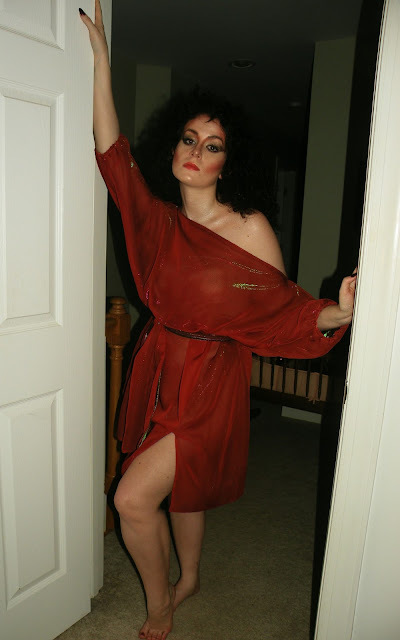 The hair was floofy, the dress was slinky, the makeup was over the top, and I was shimmerier than a disco moon (rarer than a blue moon, a disco moon happens once every couple of decades when funk music makes a comeback. The more you know!). I hope you guys enjoy this epic tribute to a seriously classic movie, and I also kind of hope I'll somehow start a trend here. 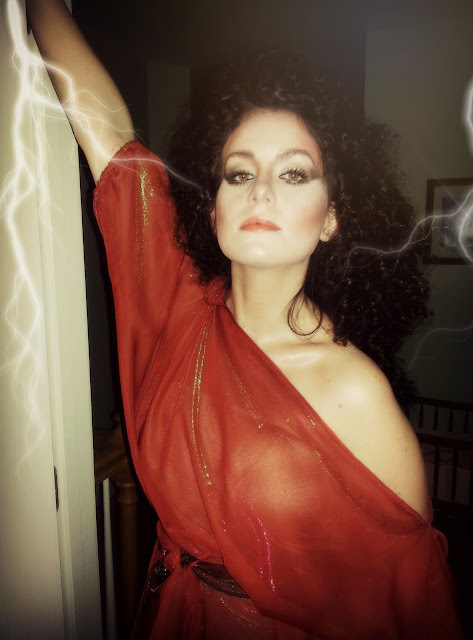 Every Halloween there's always a ton of Ghostbusters running around, but no Zuul! It's a crying shame! PS: If you're curious how I got my hair (yes, that is my actual, real, growing-out-of-my-head hair) to do that, how long it took, and how I turned it back into my normal hair again, stay tuned for Wednesday's post!